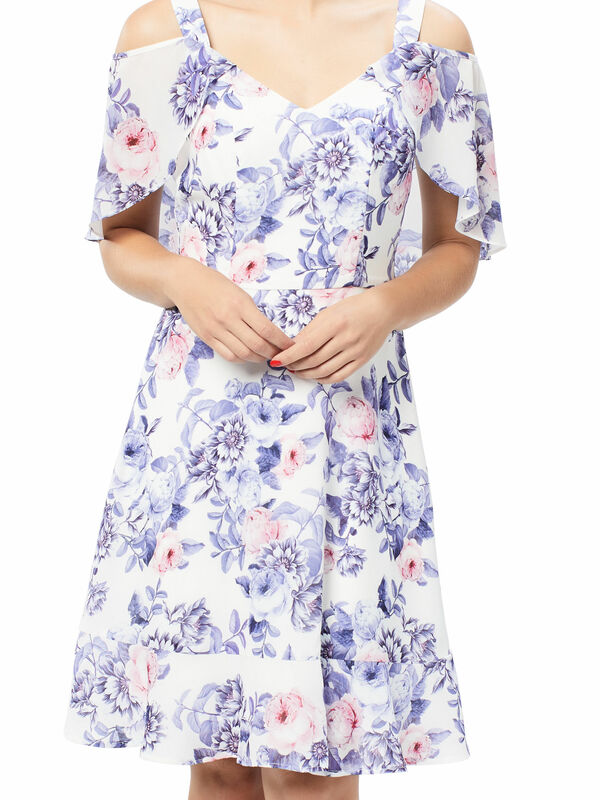 Montego Bay Dress https://www.review-australia.com/au/montego-bay-dress-white/RE18DR180.REWHT033.html Float into a floral fantasy with the deluxe Montego Bay Dress. This flowy chiffon dress has a regular fit bodice and a relaxed floaty skirt. A sheer flutter cape panel over the arms and through the back creates a chic cold-shoulder effect. Finished with wide shoulder straps and a concealed back zipper. A pair of strappy sandals and pearl accessories finish this feminine look. Worn with the Darcy Pump Heel in Blush. 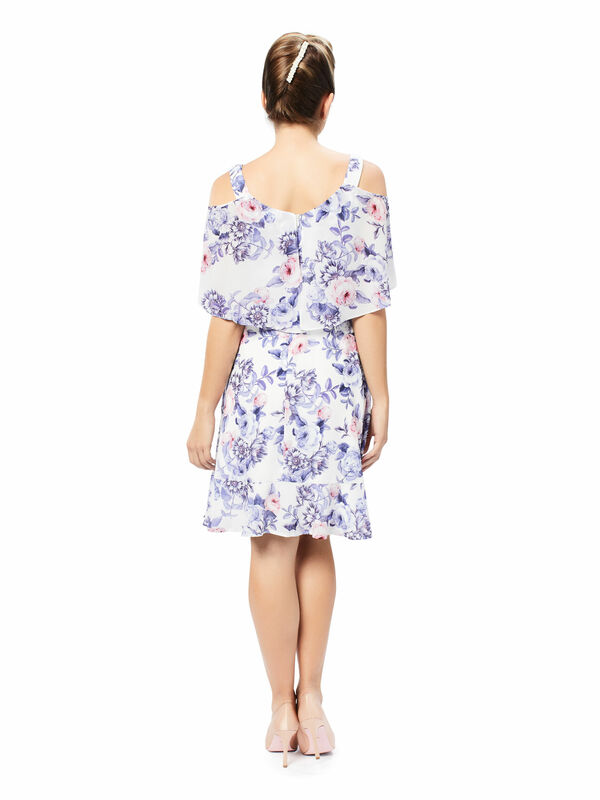 Float into a floral fantasy with the deluxe Montego Bay Dress. This flowy chiffon dress has a regular fit bodice and a relaxed floaty skirt. A sheer flutter cape panel over the arms and through the back creates a chic cold-shoulder effect. Finished with wide shoulder straps and a concealed back zipper. A pair of strappy sandals and pearl accessories finish this feminine look. Worn with the Darcy Pump Heel in Blush. Montego Bay Dress is rated 5.0 out of 5 by 8. Rated 5 out of 5 by Ali1970 from Beautiful Dress I was traveling in Sydney when I saw this dress. I instantly fell in love with it. I didn’t buy it the day I saw it as I was short on cash. I went back to Melbourne and couldn’t stop thinking about the dress. I rang the store and they still had my size. I paid over the phone and they posted it to me. The staff member on the phone was lovely and when I received the dress I had a lovely little thank you note with it. I felt so good. 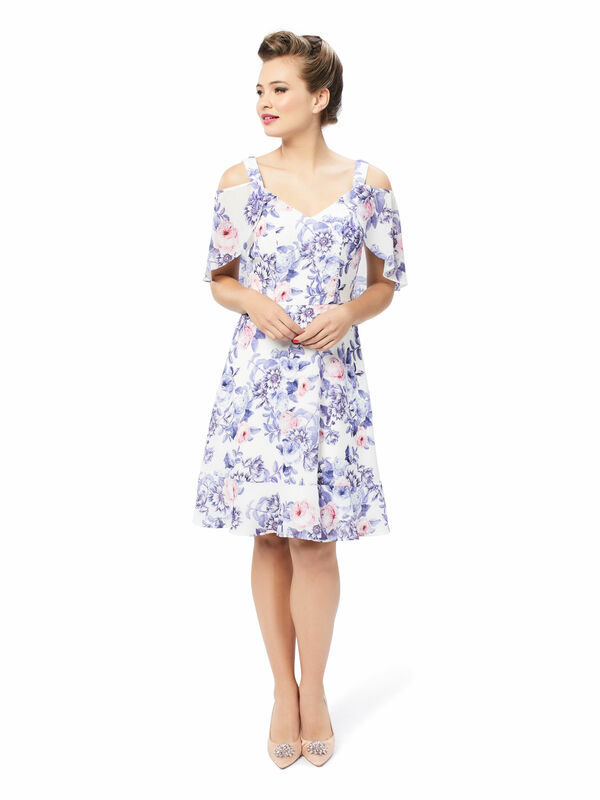 Rated 5 out of 5 by Kimberly Jane from Lovely cool and feminine dress A wonderful cool dress for summer that is light and flattering to your body. Washes easily and requires little ironing which is a bonus. Sizing is consistent Review, Received many compliments. Very happy with this dress. Rated 5 out of 5 by Tanja from Feminine look Very Happy. Looking forward to warmer weather so I can wear it. So many other clothes looked terrible, it was depressing. This style is really flattering and worth the bit extra. Rated 5 out of 5 by Alice from Cute and comfortable My favourite over summer, fabric falls flattering over body. Nice for casual outings as it’s not too long (above knee). Rated 5 out of 5 by Annabelle11 from Absolutely love it! Extreme flattering, always receive compliments when I wear this.